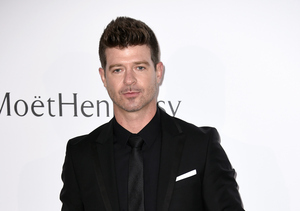 Robin Thicke and ex-wife Paula Patton are in a bitter custody battle over their son Julian. 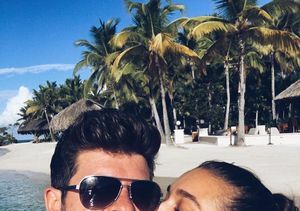 In new court documents obtained by “Extra,” Paula is making explosive abuse claims about her ex, who she says has been physically rough with their son. She also claimed that Julian is “scared" of Robin. According to a school official’s declaration, Julian revealed that Robin frequently “punches” him hard. The day before he told the school official, Patton claims that Julian demonstrated how hard he was spanked by Robin. Patton filed an emergency order to limit Robin’s time with Julian, but the family law judge denied her request on Thursday. Last year, Paula opened up about co-parenting with Robin with “Extra’s” Mario Lopez at Universal Studios Hollywood. Watch!